I can't remember how I found out about VGAP. I didn't play any computer games before, except perhaps Civilisation. But VGAP caught me immediately. It was simple, a few rules, I could see how to play without reading a whole manual. Apart from some misleading features such as the Colonize mission, of course. It must have been in 1994 according to my first downloads. After a while, I realized that I was not happy with parts of the client interface, especially with the message editor. In the beginning of 1995, I had programmed my first utilities, one called VGAPMESS, a simple message editor, the other VGAPSHIP, a simple ship list. Then, I discovered Crystal Ball written by Juha "Jippo" Pohjalainen. It was what I wanted, a Windows program with a starmap which gathered information during the game and stored it in a database. But it did not record, for example, the weapons of my enemies whom I met in battle. Therefore, I continued programming, and EchoView was born. Version 1.0 was released in 1995, and since then I continued programming. In the same year, I contacted Tim Wisseman for the first time, probably because EchoView had problems to share data access with WINPLAN. Tim helped, and did so many times, sending code fragments, answering stupid questions, etc. Another important guy whom I virtually met at that time was Andrew Sterian, the brain behind PHOST. Andrew and I exchanged many many mails, discussing about features, data file formats, etc. I was especially happy about the additional message data generated by PHOST, the UTIL.DAT files, which made message scanning unnecessary. And, of course, the exhaustive documentation, unmatched by any HOST docs at that time. By now, I exchanged mails with many of the VGAP people, add-on programmers, all my invaluable beta testers (many many thanks to all of them! ), and of course the people I met in games. Playing is, of course, important, but I regard myself as being an average player, not a strategical mastermind like some other people I have met in games. I like to play defensive races, and usually I don't win, also because I end up having treaties with all of my neighbors. But I don't care, as long I have fun in a game. At present, my time for programming and playing VGAP is rather limited, as many others I have a job and a family with whom I want to spend time. 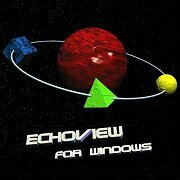 Nonetheless, I still play, and last year I even ported EchoView to be a native 32-bit program. I hope that playing VGAP still continues for a while, and that people find my contribution helpful for playing this great game.